Lite-Brite Design Refills - 12 count set. 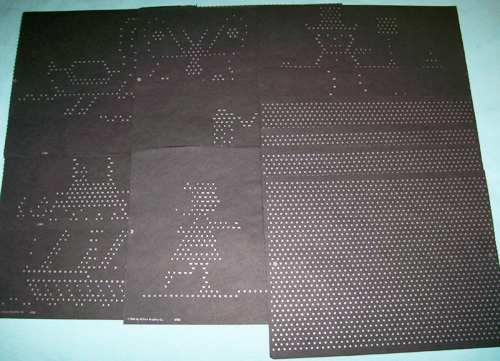 Opague black paper with various dots showing the coded color letters, such as B, Y, P, etc. These are a mix of a number of different partial sets that had remaining unused pages. Clown and 4 dotted blanks for creativity. 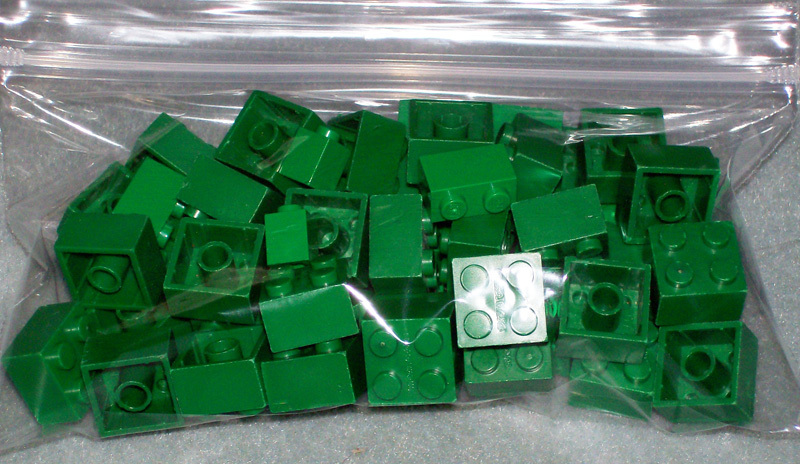 Marked 'Lego'. 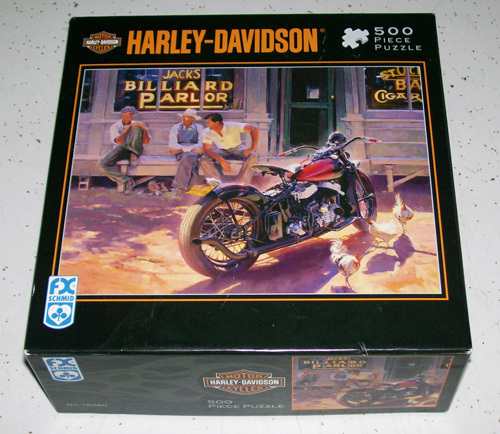 These are smaller blocks in very good condition. S & H in the U.S.A. is $3.00 for the first bag. If multiple order add $.50 shipping for each additional bag. All pieces are there since I had my friend put it all together. 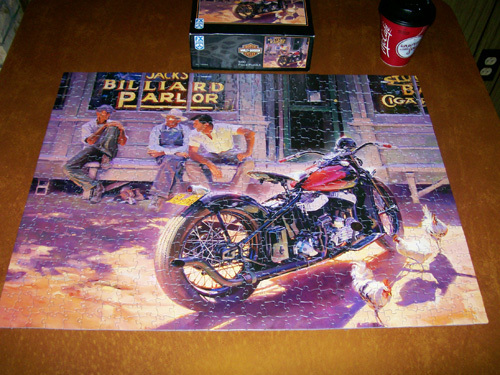 The photo showing the completed puzzle was taken right after it was all put together. These are regular pegs, NOT the Deluxe style. 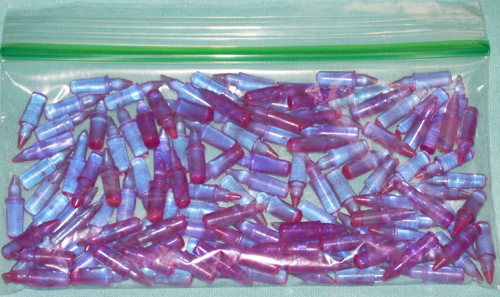 There are 125 pegs in the baggie.